Sant’Antioco is an island off the south-western tip of Sardinia. With extraordinarily beautiful beaches and a very special highlight: the L’Arco dei Baci natural pool. Pure nature and stunning beach relaxation in a fascinating area for divers and snorkellers. 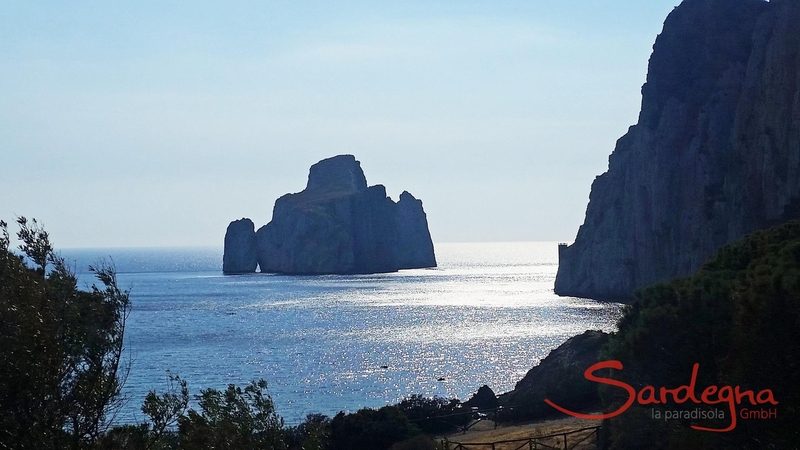 Sardinia’s second largest island, which is connected to the mainland, is a truly awe-inspiring area: the unusual rock formations and visual signs of the power of the elements never fail to impress even the most inveterate Sardinian connoisseurs. Unique in Sardinia: L’Arco dei Baci is a fascinating natural pool that flows into an imposing, natural shaped rock gate. The water rushes over the reef, yet the pool itself remains crystal clear. After swimming with the fish, you’ll never quite shake the wonderment. A dream beach with pale, coarse sand and a flat, turquoise sea. The bay is divided into two sections by a picturesque rock, which will delight divers and snorkellers with a fascinating underwater world amongst the beautiful reefs. Rich green hills illuminate the hinterland. The beach is easy to reach by car. An idyllic bay amidst rocky landscape: in Masua, above Sant’Antioco, Il Molo di Masua is one of the most breathtaking beaches on the west coast. Light-coloured sand, crystal-clear water, abundant opportunities for snorkelling and an unbeatable view of the Pan di Zucchhero limestone cliffs make it something extra special. There is space to park directly at the beach.